It has been popular items during festival and were tried even by the women folks in their kitchens . Traditionally popular among Gujaratis's, Rajasthani's . Few of the manufacturers are now trying to encash on the popularity of these products, these are now being packaged and being branded . Frontier Biscuit factory a major home made cookies manufacturer and few other local manufacturer have now started marketing these Nan- khatai 's and Khari 's . 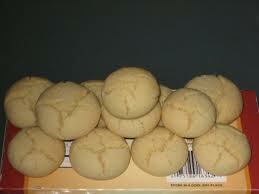 Wide range of variety are available for nan -khatais such as elaichi,badam etc . Even malls , supermarkets and retail chains have been promoting these Indian cookies through private labels . Indian cookies which till now have seen mostly with street vendors is gaining acceptance and are competing well with common bakery products .